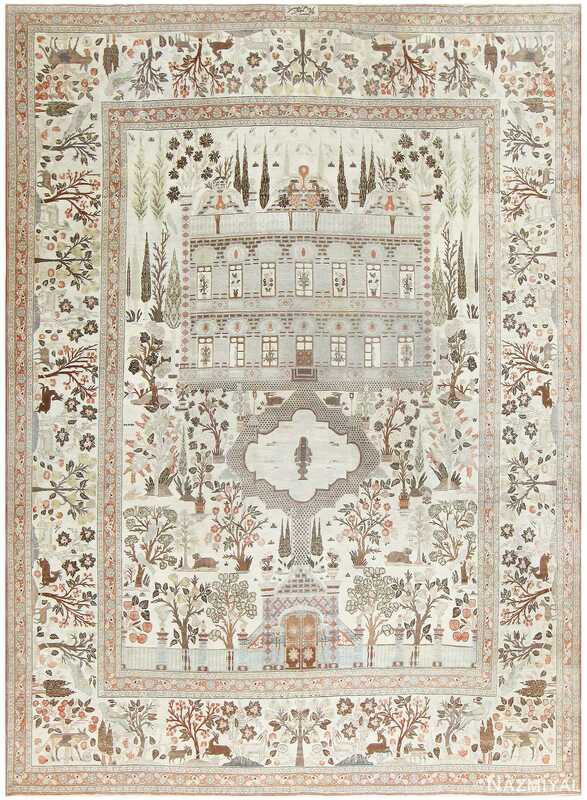 Pictorial Rugs are those that depict scenic designs or portray specific people, figures, times, or places. They can depict the a traditional hunt like this fantastic Agra, a simple portrait, or a myriad of animals and people like in this exquisite 17th century Esfahan from Persia. 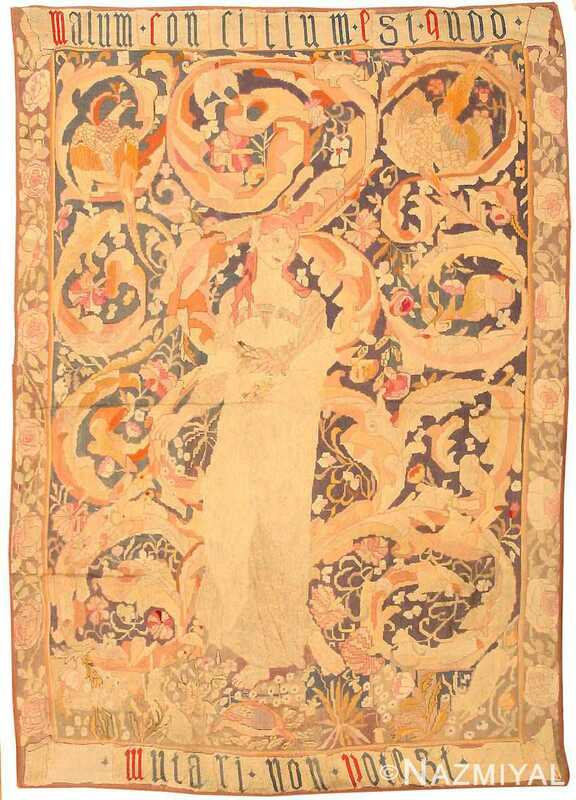 Tapestries are also often pictorial and vary tremendously. This example, a 17th Century Tapestry, shows the heraldic symbols of a Spanish admiral. In addition to being very collectible, these types of pieces are often decorative. 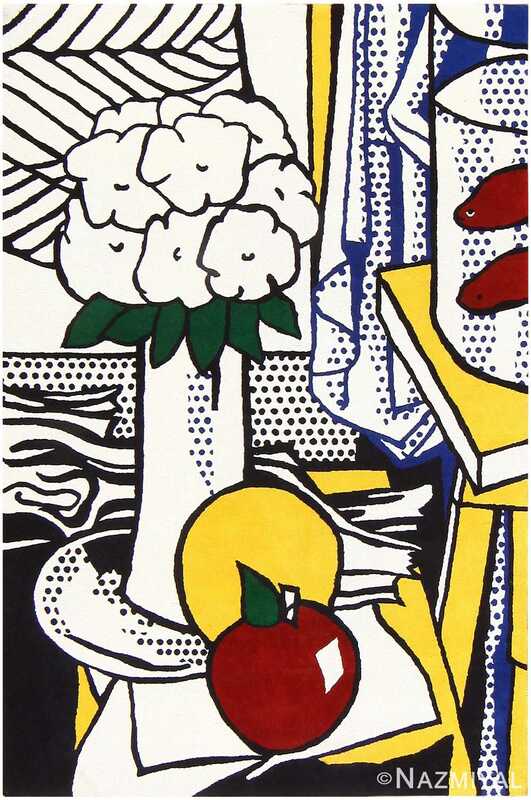 However they are designed they are always robust and full of life as if the scene is unfolding before your very eyes. 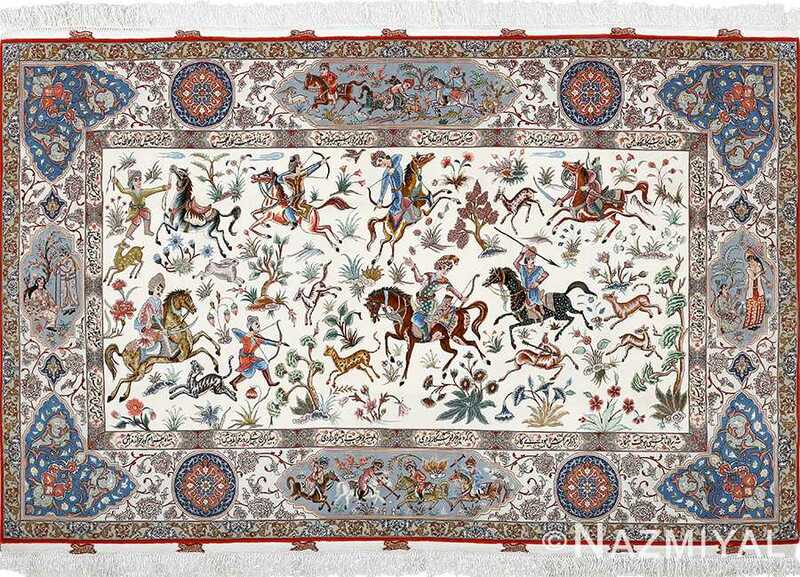 Pictorial rugs are some of the most over-the-top examples of the artistry, talent and determination needed to design and construct a fine, everlasting carpet. 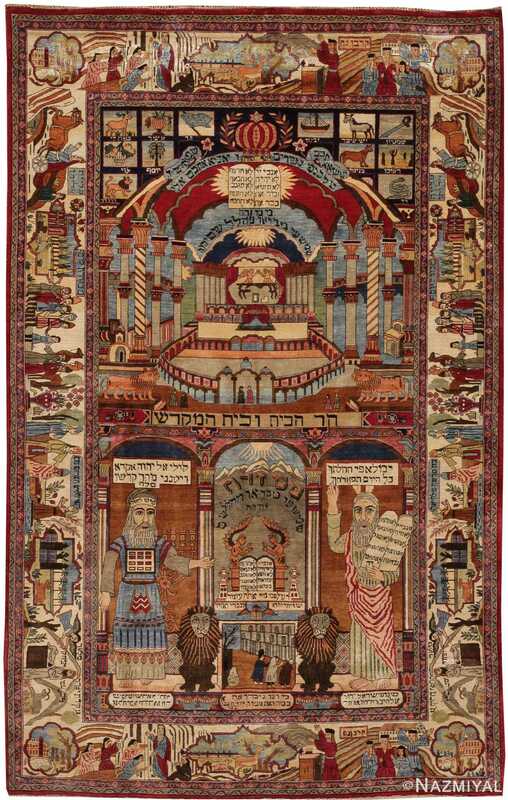 From antique tapestries to lavish hunting rugs, these pictorial rugs pay homage to history, people and important events. Pictorial Persian carpets have been traditionally produced in Kashan, Isfahan, Tabriz and cities where the great master weavers worked. 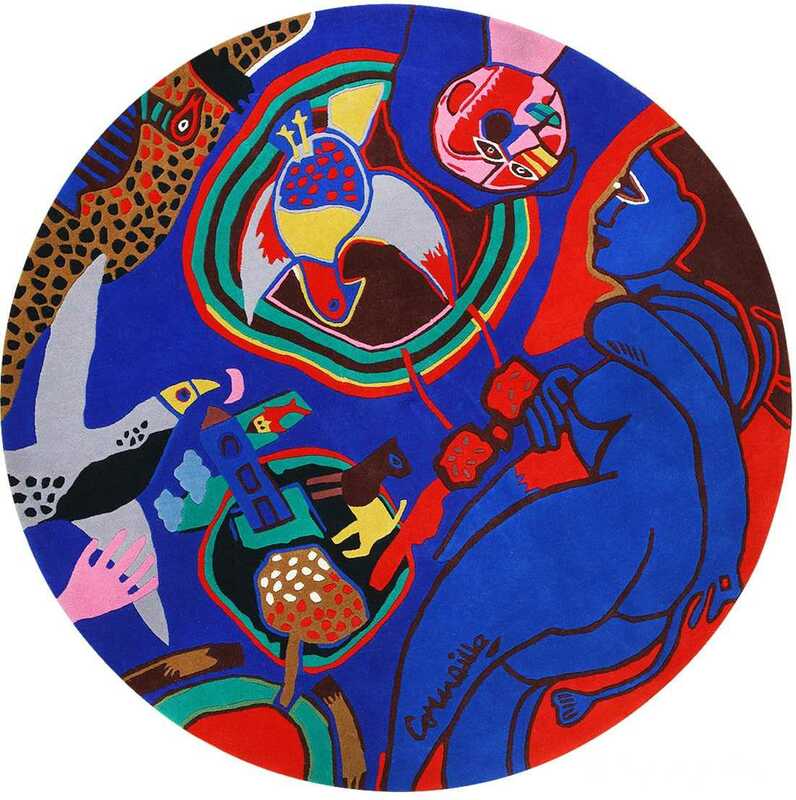 Indian and Persian hunting rugs are excellent examples of pictorial rugs and scenic carpets that depict countless animals, horsemen and animated predators set among a lush, forested background. 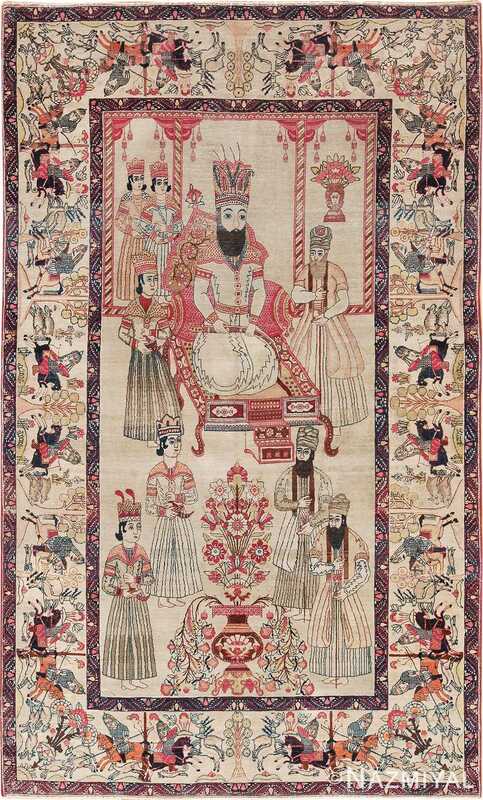 Portraits of dignitaries, important officials and high-ranking people are also found in antique pictorial rugs. With the same token, weavers also choose to illustrate important scenes from history and literature. Pastoral landscape scenes and geographic illustrations of particular places are also found in some prestigious pictorial rugs. 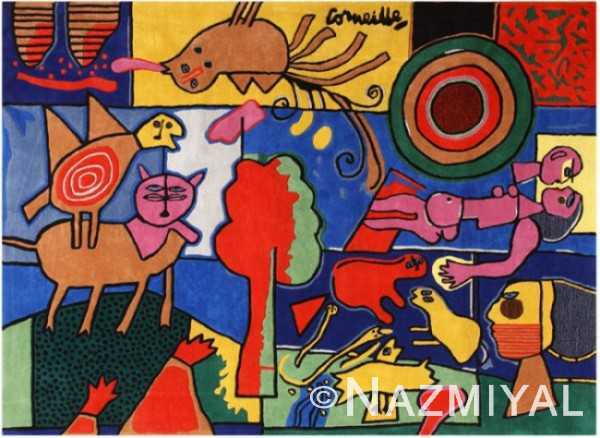 Even tribal weavers depict people and animals, but they do this in a much more simplified and abstract manner. 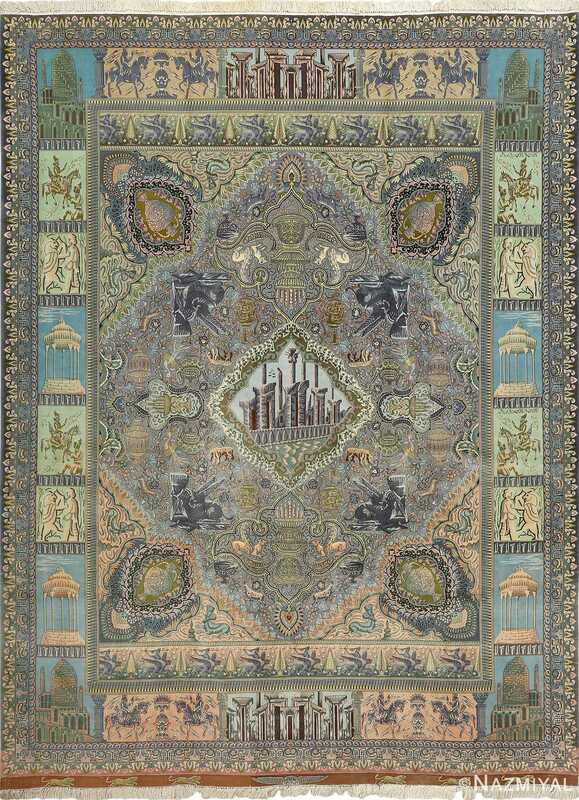 In many ways, pictorial and scenic carpets feature a more detailed and specific composition that is similar to traditional works of art and breaks away from the ambiguity of allover rug patterns filled with lush vine-scrolls. 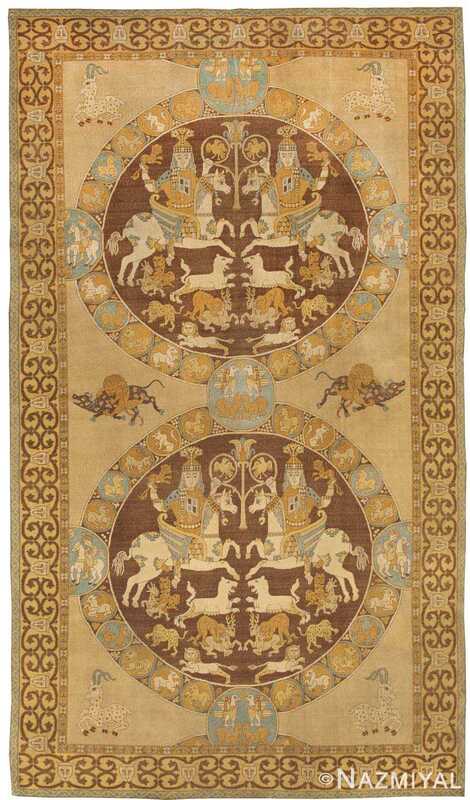 Fine antique European tapestries that feature formal compositions and gilded frames resemble classical paintings and works of art more closely while other pictorial rugs are more abstract and open to interpretation. Due to their rarity, quality and execution, antique pictorial rugs are coveted representations of the varied art of carpet weaving. 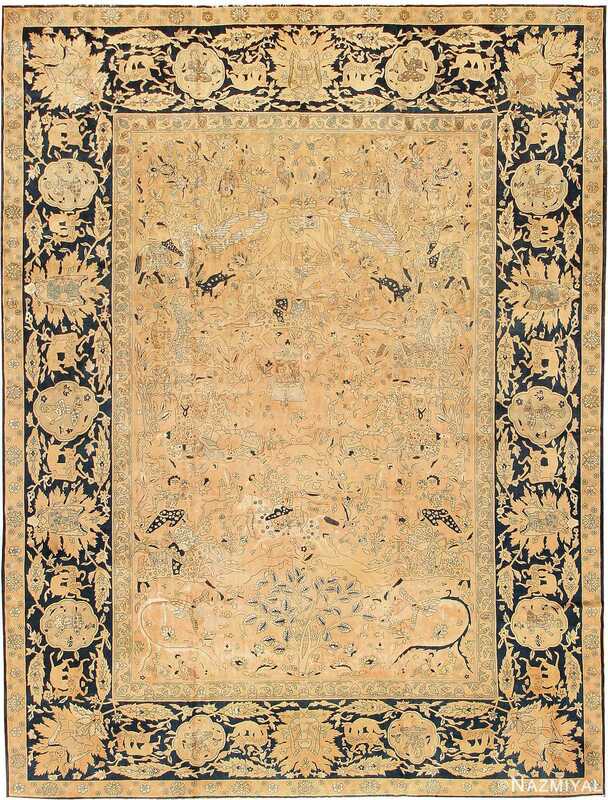 Pictorial rugs, otherwise known as tableau rugs, are ornamental carpets that are regularly woven from silk. On occasion, the rugs / carpets are fabricated from wool. The carpets are fixed to walls and serve as wall decorations. 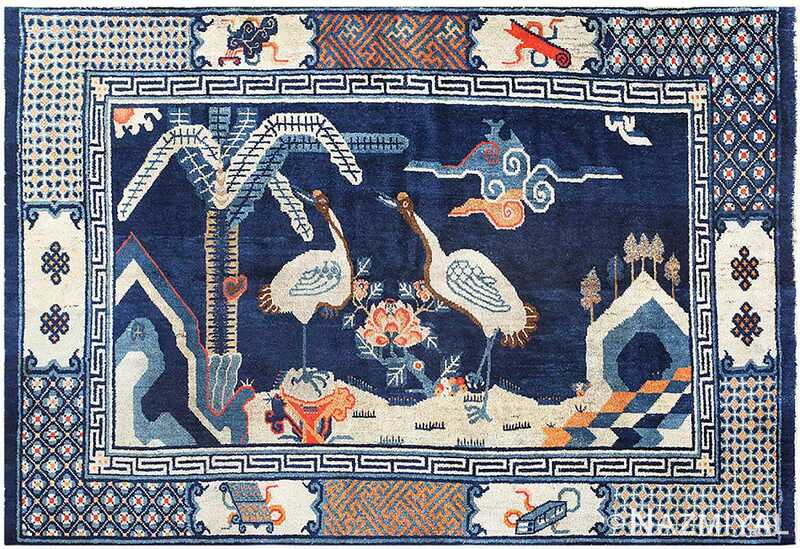 Unlike the patterned designs found on the average area rug, pictorial rugs depict striking sceneries. Usually, rug weavers would use considerably more color when crafting pictorial rugs than they would for crafting other types of carpets. 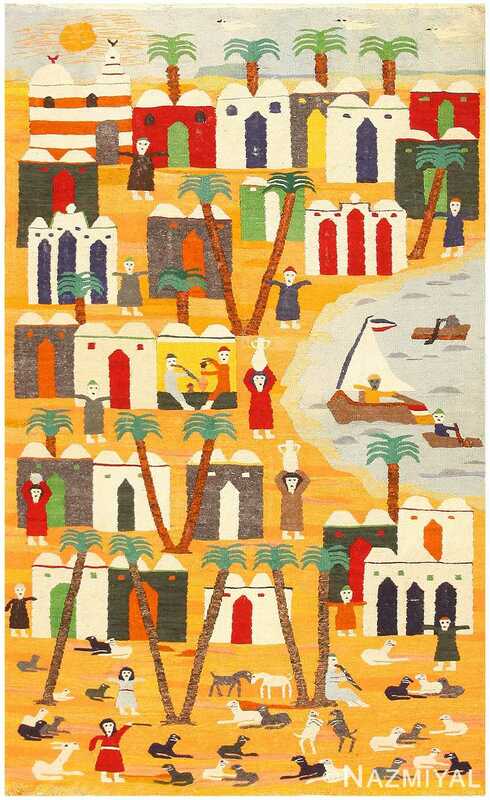 The types of sceneries found on pictorial carpets vary. 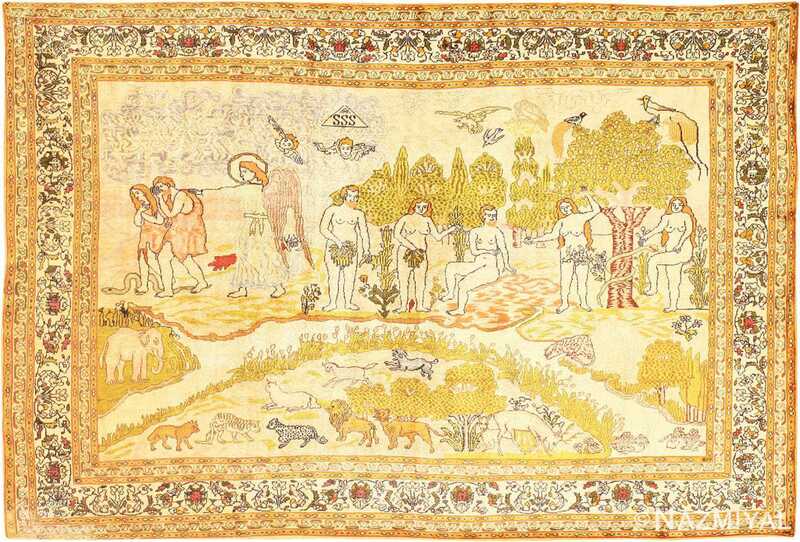 In the 19th and early 20th century, scenes of hunting were prevalent in the pictorial carpets from the Qum and Isfahan regions. 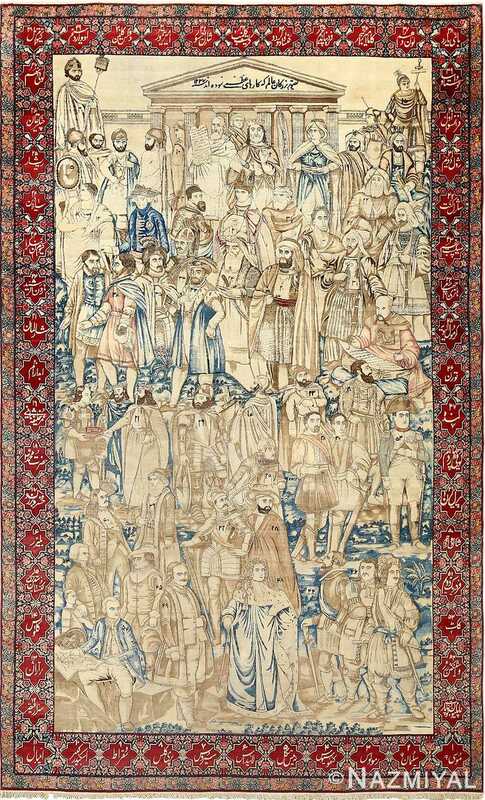 During this same period, some Persian carpets from Tabriz and Isfahan portrayed floral designs while some antique Persian rugs displayed a kings and notables. 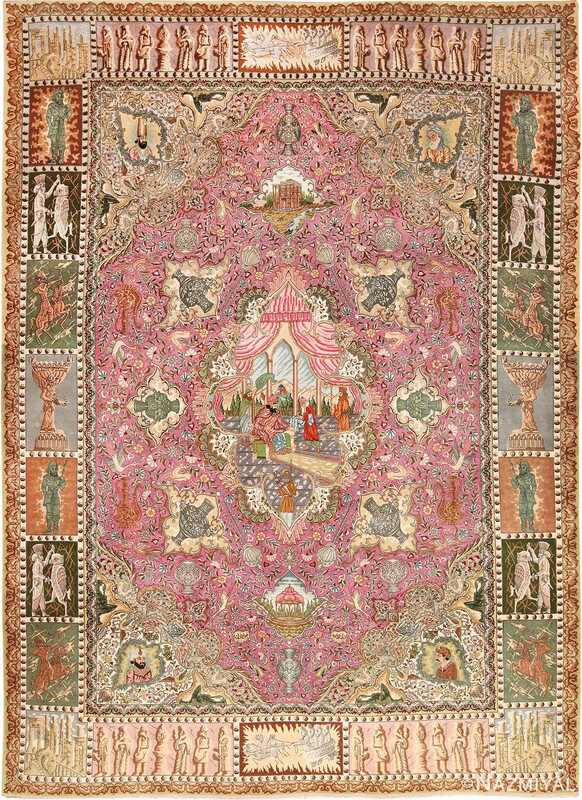 The pictorial carpet originates in Persia, now Iran, where carpet weaving is a longstanding part of the culture. The meticulously designed Persian rugs are considered a form of art. 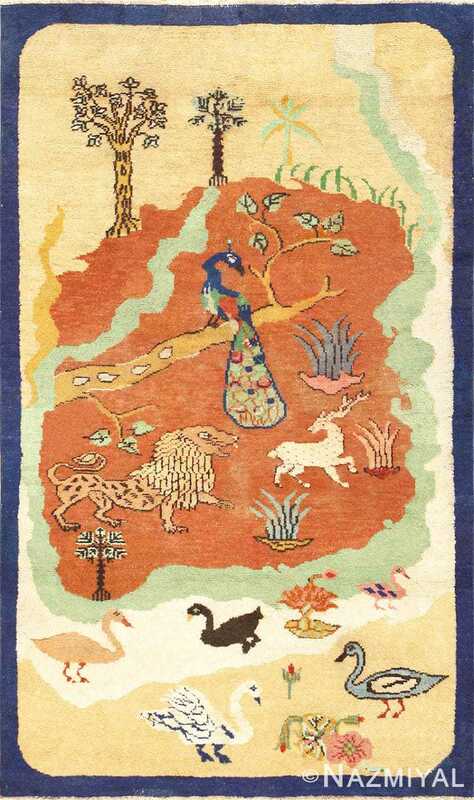 The rug weavers will even frame their scenic and pictorial rugs after completion. Much like how an artist frames painted canvas. 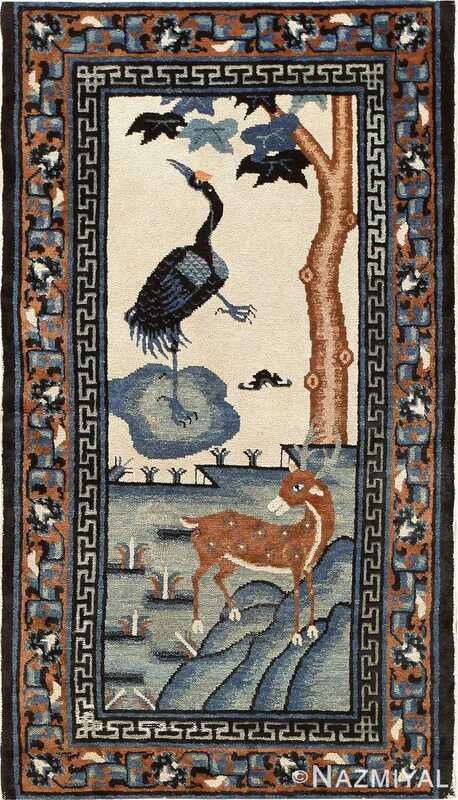 The oldest known pictorial carpet shares similarities to the styles of the 19th and 20th century rugs, but the true origin and age of the oldest rug examples remain unknown. Recently pictorial carpets have made a comeback. Over the years, Persian rugs became globally popular. As a result, many countries like China, India, Turkey, Afghanistan and others started to replicate the traditional rugs from Iran. These “copied” Oriental rugs were made at a lower quality compared to the originals. The new modern rugs grew to be known as Persian design rugs. 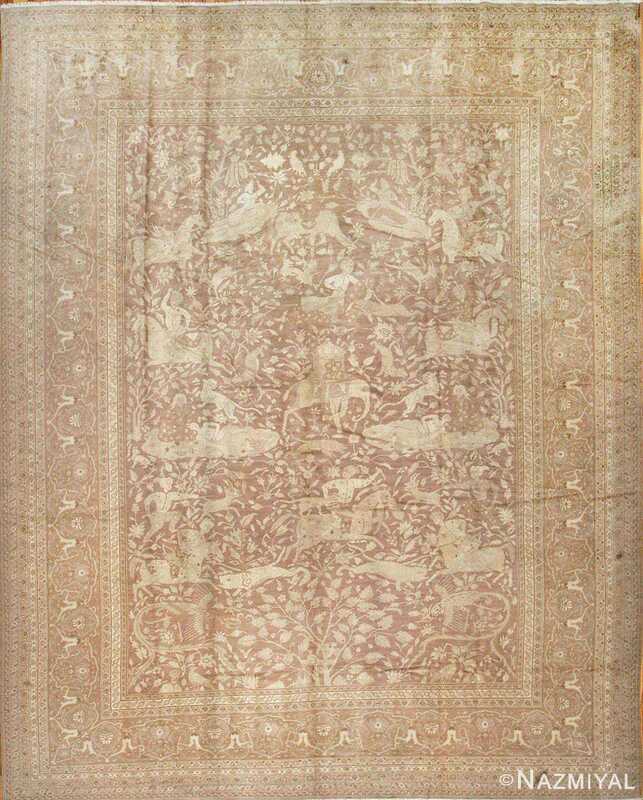 On the international market, the cheap copies came into direct competition with Iran’s traditional rugs. The number of Iranian carpets that were exported fell every year due to the new rival rugs. 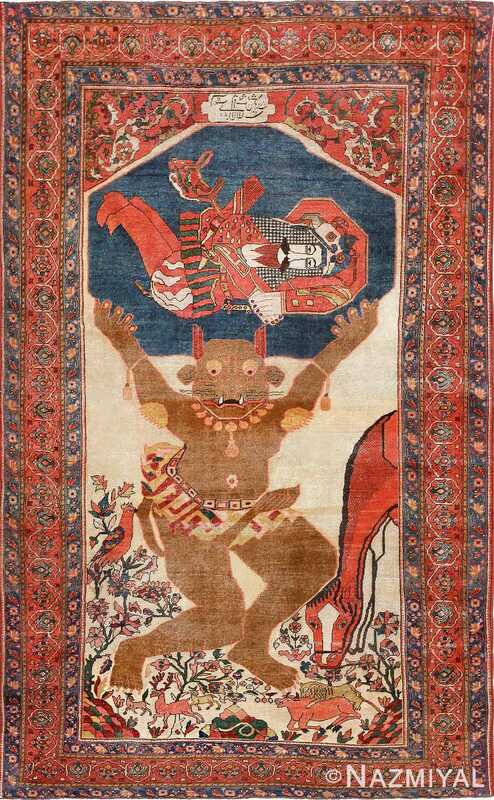 In order to become more competitive, Iranian carpet weavers began to produce a new kind of pictorial rug. 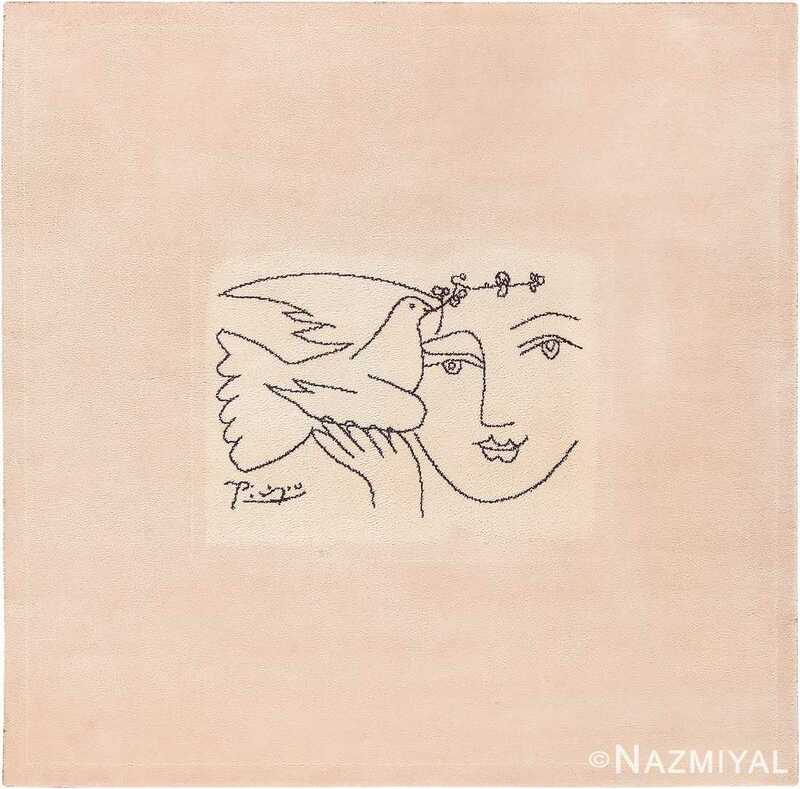 They created rugs that shared a likeness to the important and unique artworks of the world. 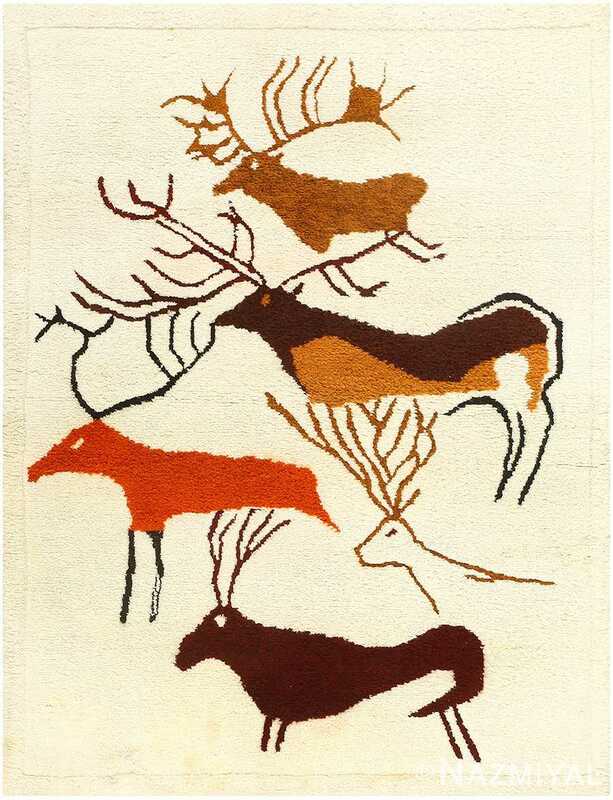 The oldest known group of carpet weavers in the world crafted these rugs using the same methods they used to create their antique rugs. 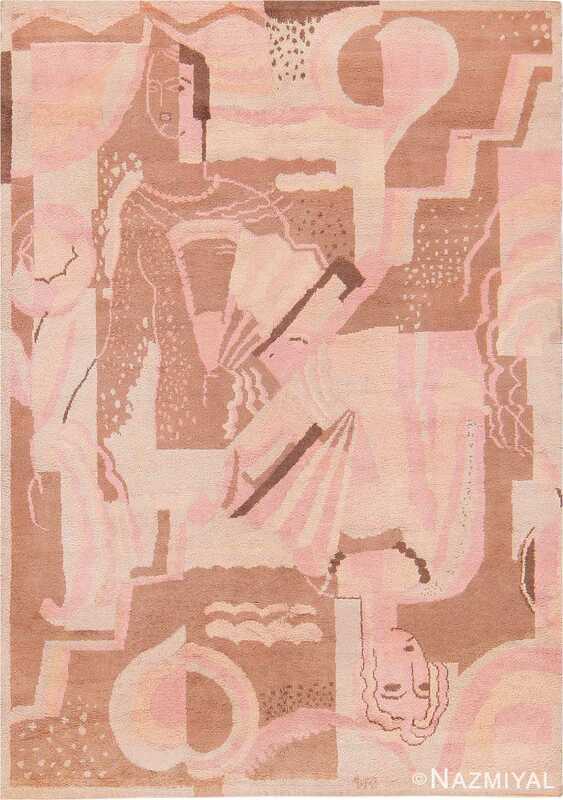 The Iranian textile and rug weavers made desirable, high-quality pictorial rugs using their new strategy and old techniques. 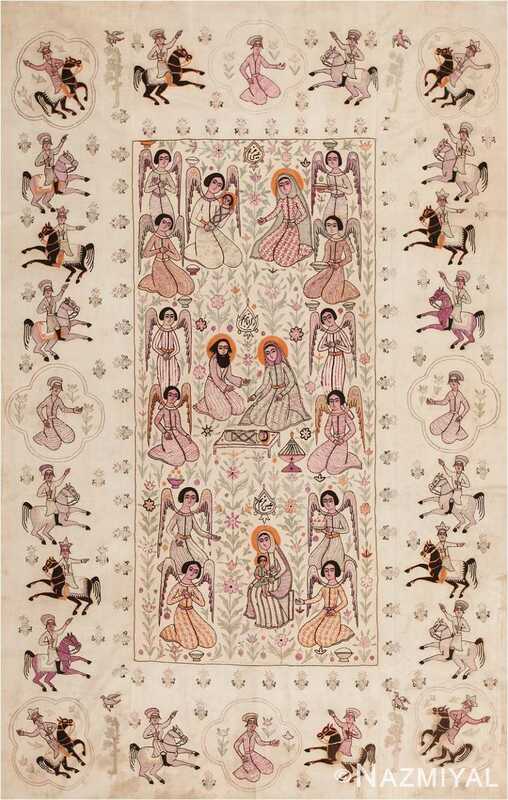 Crafted in the late 19th century, this profound antique pictorial textile from Persia depicts a historical nativity narrative drawn in a lively ethnographic manner.